This sponsored post is written in partnership with Etsy Australia. I can not tell you how excited I am that our Autumn is nearly here. For one, it’s my favourite season EVER, due to crispier days, changing leaves, more soup/even more toast. Secondly, my birthday is in Autumn, so it always feels like my native season. I think when we are born is a total clue re the kind of person we might be, weather-liking wise. Me? I am a crisp, mild, toasty kind of person who likes to drink a lot of tea and puff little clouds of chilly morning air about the place. I’m into cosy and comfy. I’m into my own version of hygge, pretty much. If you don’t know about the Danish word/concept of Hygge, you’ve been missing out. It’s a small word that embodies friendliness, comfort, cosiness and a general feeling of all being nice and right, in that moment. If you do know about Hygge, you either love it or are breezily insisting that Lagom has surpassed the Hygge vibes, or perhaps you’re going to tell me that Kalsarikannit is all there is? I beg to differ. #nope Horses for courses. Just because apricots exist it doesn’t mean peaches and plums are over, right?! Live and let Hygge. I thought it might be nice to shake up those Hygge vibes, in this fresh new year, on the cusp of a new season, and consider making our little bit of the world as friendly and homebody-haven-ish as we can. Here’s a bunch of very easy ways to do that – or to simply be inspired by – Hygge-wise. Homebody haven, here we come! Let’s start our Hygge journey underfoot, with something colourful and cosy to set the tone. I like this rug (below) because it has all of the colours and is an invitation for ace times. Next stop is an extra layer or two of pattern and texture for the back of your couch (or hung on the wall, even?) I’m into the plaid meets pop of colour here. It’s like Outlander meets Andy Warhol, or something…! 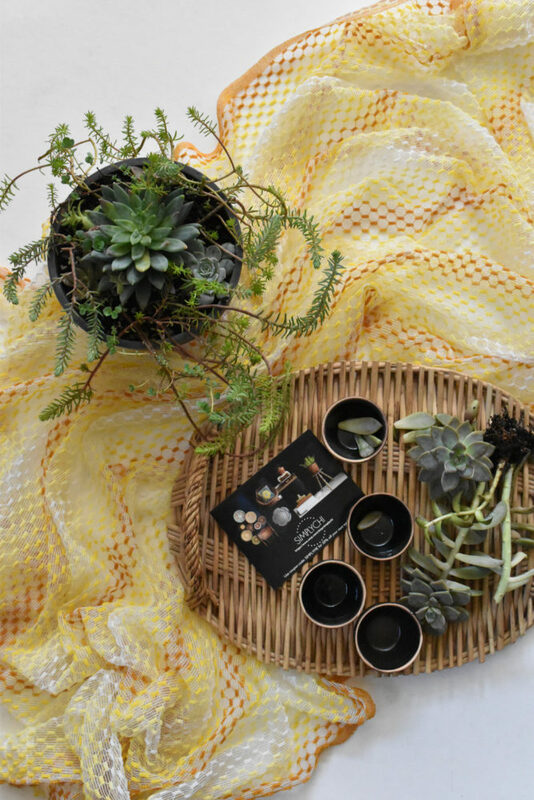 Ace snacks are super Hygge-friendly and these ramekins perfectly combine modern sensibilities with a retro kind of vibe. These would be good with a hearty soup ladelled into them, or with some crumble and ice-cream. Some slow-down pursuits are conducive to this gentler, nicer way of being. A little bit of succulent propagation? Some jam-making? A bit of bread-baking, perhaps? Some knitting, even? A slow read of the classics? I think so. I do. 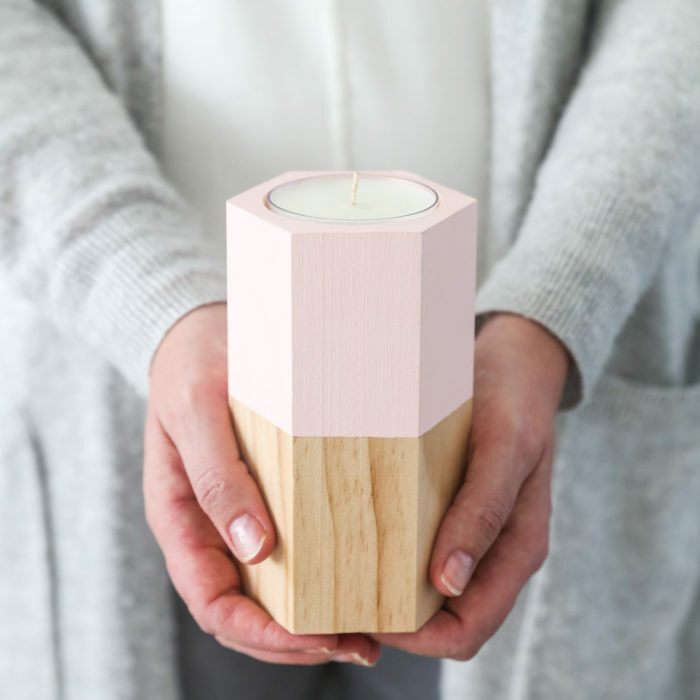 Candles and Hygge are pretty much synonymous – and these geo candle holders are a nice mix of handmade local meets gentle-living. They have some other VERY nice candles too, FYI. The more plants the better. If you can mimic the great outdoors inside your place, than you’re on the right track. Cleaner air, cleaner thoughts, greener lines. Create your own little forest and you’ll instantly feel more positive about the world. And you will get the Hygge feels too. Layering your place with treasures that are meaningful to you is an ace way to kick start some nicer times. You can create your own artwork, or buy something interesting and eye-pleasing. I’m very into the idea of vintage movie posters, especially if they are a bit quirky and/or Japanese. Speaking of slowing down, how about a lazy ongoing game of some kind? 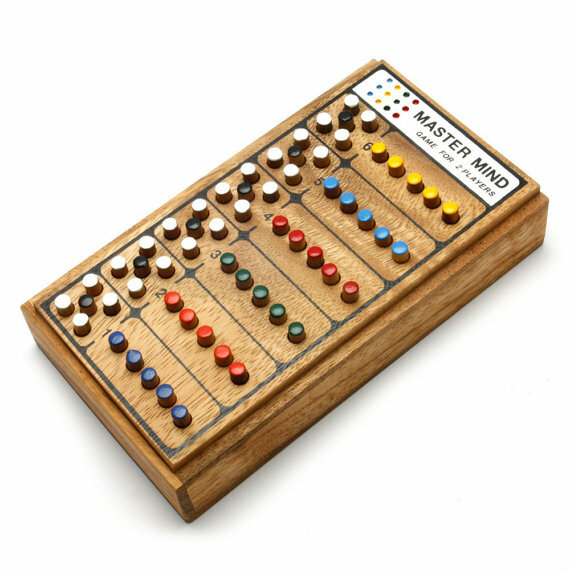 There are heaps of vintage games ripe for the picking on Etsy, but I kind of super LOVE this vintage-meets-now handmade version of the classic Mastermind too! 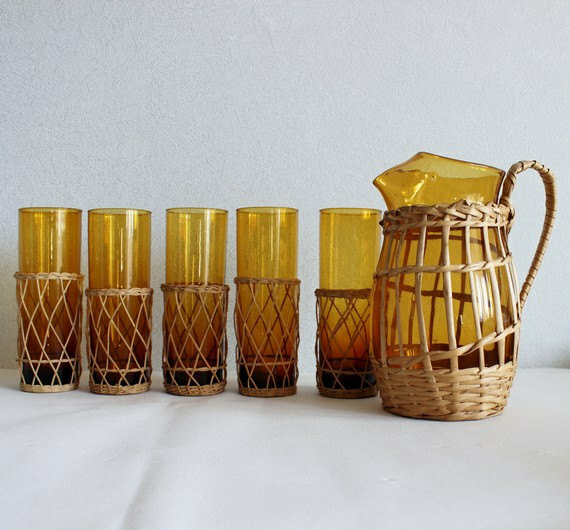 Be it an Aperol spritz, some mulled wine or a little homemade lemonade, they’ll taste extra delicious and feel extra Hygge in some vintage amber glassware. You could consider a bar-cart too, if you want to next-level your nice times? What are you going to do when you are sitting around with your friends or special people or just by yourself? You are going to bounce ideas, hopes, thoughts, memories, dreams and wicked jokes off one another. If you are stuck for ideas this book is really great. I used to have it and it’s inspiration packed and very old school charming. If you don’t quite fancy a cool drink or cocktail in your swoonworthy amber glassware, then perhaps some freshly brewed coffee or a bracing cup of tea would be better? Again, I’m going for green because it’s comforting and reassuring. I’m also going for stoneware because it feels sturdy and nice. Are you inspired to have nicer, more homebody-ish times? I really 100 percent am. Win a $200 Etsy voucher! Yay! If you’d like a head start on your Hygge journey, Etsy are giving one lucky Meet Me At Mike’s reader (and Etsy fan!) a $200 voucher to spend on Etsy! To be in the running to win, just tell us which of the above items is your favourite, and why. Giveaway is open to all readers. Giveaway closes on March 7th at midnight. Winner will be chosen by Pip and an Etsy representative. Winner will be contacted via email by March 14th. Etsy will forward the prize to the lucky winner! Thanks for reading, petals! 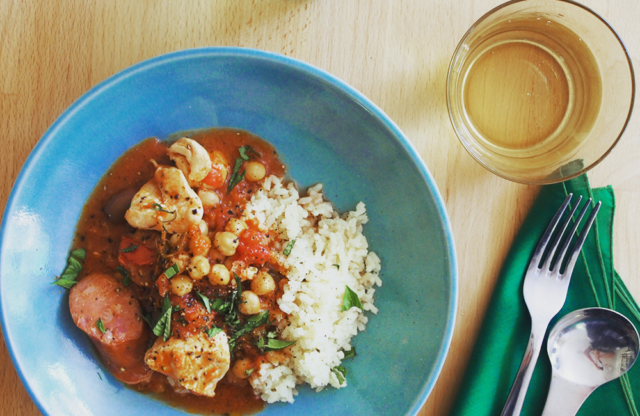 Get Hygge with it! Am really fond of the Vintage Kantha quilt. Oh man, that quilt is so cool!! For more than two years I have been looking for a rug to go under my coffee table. 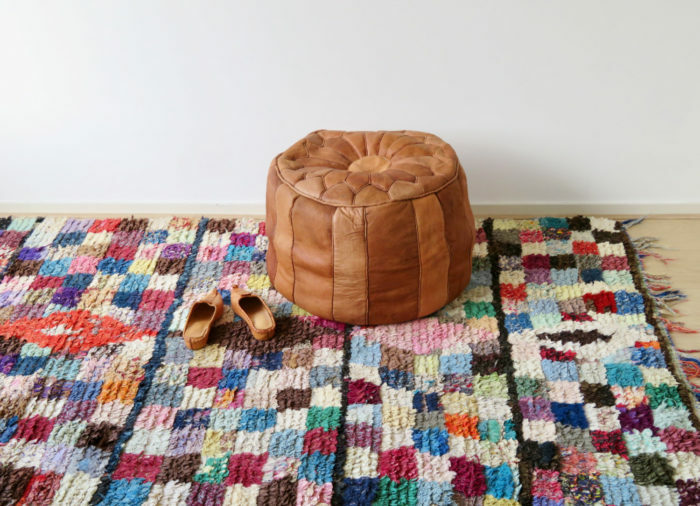 That Vintage Moroccan Boucherouite Rug is everything I have been looking for! I love my home to feel comfortable and inviting, and that rug would look as though it belongs in my hygge home, ready for my guests (and me!) to twirl toes into! 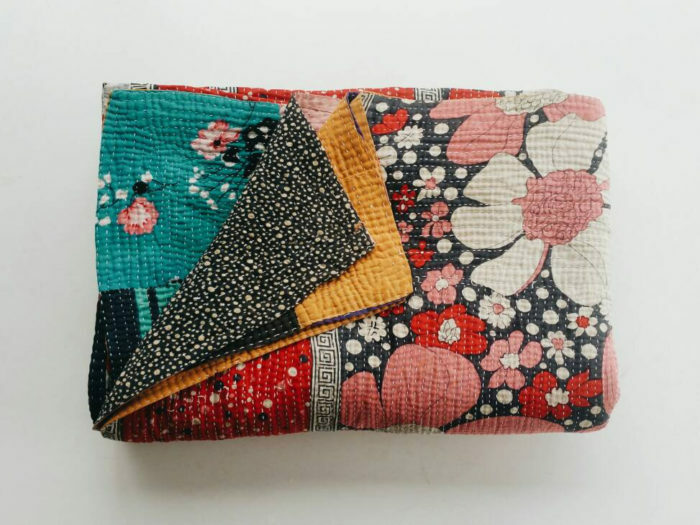 The Kantha Quilt by Habitation Boheme looks like a lovely little happiness fest wrapped up in a blanket. I was instantly drawn to the gorgeous pattern. If that is hygge- Hygge me home! I really like the chunky mid-century ramekins by About The Place because I like to entertain people at my house. Hmm, it was going to be the vintange plant stands, because I’m on a complete plant bender, but I’m going with the handmade Kantha quilt. To me, it’s what Hygge is all about, snuggly contentment, curled up on a bleak day with a book and a cup of tea, ignoring the outside world, lost in your own. I’m in love with the planter stands . I’ve revived the art of indoor plants and gave made several terrariums for friends and myself now . I covet a lovely aspidistra my sister in law has and a plant stand would be lovely for it. Number 9 the Kantha quilt is my favourite! Not only is it gorgeous but it’s mismatched vibe goes perfectly with my houses haphazard styling, which i definitely think adds to the level of coziness. No need to worry about messing up perfection at my place! I also loved the plants but already have those, and with my kids those stand planters wouldn’t be upright for long! Thanks for the list Pip, lovely ? The amber drinking set reminds me of my grandmother’s beachside home. We could drink home made lemonade in the little courtyard with the breezway bricks. We’d sit on the original 70s plastic outdoor furniture, which has bleached in the sun but remains as sturdy as ever. The vintage Kantha quilt. I’m a quilt maker and the fabric is gorgeous and you can’t beat handmade. I can see myself snuggling under it reading a book on a winters day! Or popping it on the bed as an extra layer giving it that extra something special! Oh how to choose! I’ll go with the Mastermind game, because it conjures images of playing a lazy game or two while wrapped in blankets on a rainy day. As a kid I used to play mastermind on the windowseat with friends, watching the rain outside and being cozy and warm with the open fire and blankets. That’s one of the best feelings in the world, btw, looking out into a frosty day but being warm and dry at the same time. I love so many of these items, but I think the Kantha quilt is my very favorite. Something about vintage handmade quilts warms my soul as much as my body! this was a hard choice but definitely the vintage Mastermind Game; for purely nostalgic reasons. I used to play on one almost identical to this with my Nannu when i was a kid. He used to wrap me up tight in blanket sand we would play ‘1 game only’ (it was always about 4) before i had to go to bed. 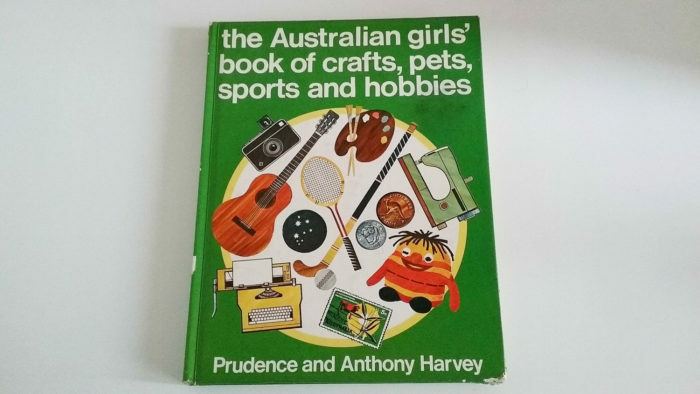 The Australian Girls’ Book of Crafts, Pets, Sports and Hobbies really stuck out to me – firstly because I’d never even considered buying secondhand books from Etsy (I’ve bought a lot of fun handmade things from there though!) so this has opened my mind! And secondly because it gave me hygge-ful memories of my childhood. I’m a child of the 80s so it’s a little before my time, but I do remember reading books like that. I used to get out a whole stack from the library and go nuts on the craft sections… although my creations never looked quite as good as the pictures! 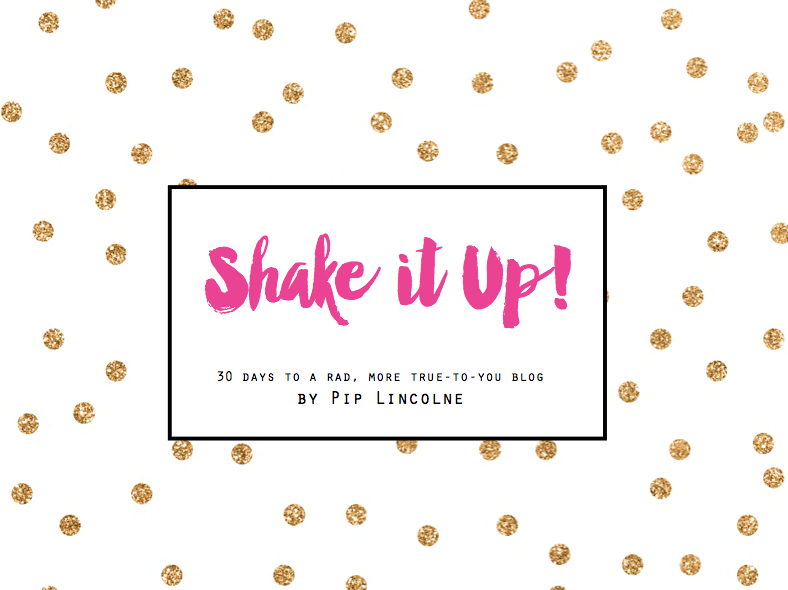 I’m now permanently attached to my laptop (aren’t we all) but it makes me want to go back to a simpler time when I used to make my own fun, rather than just consume it… thank you, Pip! 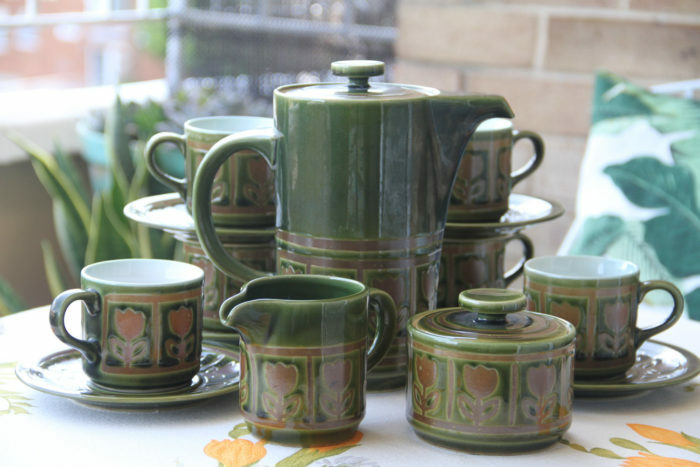 Definitely #12…..the stoneware coffee set by Vintage Collateral. Love it. Its always a bit weird when things you grew up with are described as “vintage” but my parents had a coffee set so very similar to this back in the 70`s. Ours was a beigey/brown colour (of course). It went with our brown corduroy three piece suite and our swirly paisley carpets…..
Vintage Poster is my pick. The colours are gorgeous and the design is wonderful. I love filling my walls with every form of art! I’m totally loving that handmade Mastermind. That was my fave board game as a kid and I’ve just recently introduced the kid version to my nephew. May need to buy that! The Vintage Kantha quilt is my favourite of the bunch. It looks super cosy, has beautiful, friendly colours, and could brighten the darkest of rooms with its loveliness. I would go for the plantstand. My daughter is transforming her room into a jungle with home grown plants and it would realy be a nice present for her and her plants. Oh my! That book brings back so many great childhood memories…. My sisters and I had that exact book as kids and I so wish one of us had kept it! Reminds me of simpler days when there was time to just ‘be’. I love the movie poster. I’ve been looking for something to put on my bare wall and it would be perfect. I just feel like art can really elevate a room and tie it all together. The lovely green ramekins from About the place make me smile conjuring up thoughts of warm cozy dinners in front of our fire, the dogs happily lolling about while the world passes by outside. After working all day on my feet in hospitals, I come home and initiate a Hygge atmosphere/tone in my apartment by slipping off my work shoes to walk around barefoot. This is precisely why I will, “vote with my feet,” ? and say that the Vintage Moroccan Boucherite Rug from Two Girls and a Pug is my absolute favorite from this list!! How easy it is to imagine this lovely rug sweetly snuggling my tired feet and truly welcoming them home ?! Oooohhh I love all these beauties! My pick would be the vintage plant stands- we have fake grass & no garden so I am slowly filling every corner of the house with plants ? #2. Couch times. Just moved house and have been frantically busy ever since. I’m looking forward to slowing down over autumn, making the new place feel like home, and most of all – curling up on the new (third hand via ebay!) green leather couch with my sausage dog Zorro. It would be gloriously fabulous to be able to curl up with the hound and have some colourful snuggle time with tea and scones and a good book. 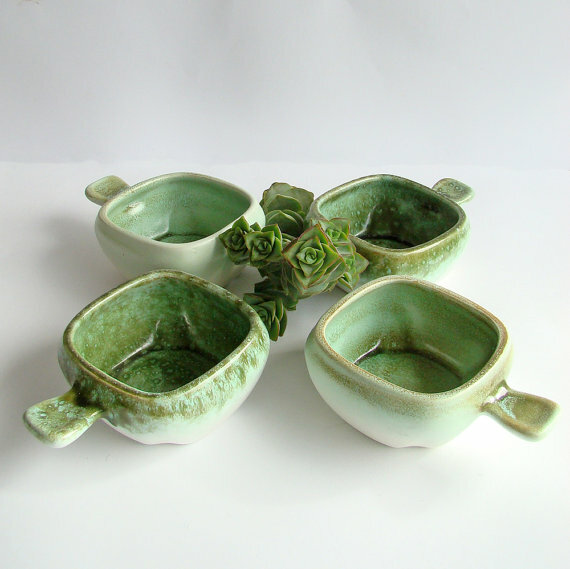 I like them but the stoneware are my favorite. They remind me of my sister. I love all of them but my favorite is the Chunky mid-century ramekins by About The Place. It’s a unique and functional. Great balance of modern and retro. The snuggle is real, Im a quilt maker and only use re-purposed sheets so i would love an Etsy voucher to pick up some sewing supplies ans a cute pin cushion or two. thanks Pip, love your work. Candlelight is very hyggelig and since I’m a sucker for anything pink, the candleholder is my pick. Beautiful combination of pale pink and pine. I love the planter stands because there is nothing better than greenery! I love the Hand-loomed Himalayan blanket from Faerymother, the colors are gorgeous! It’s a tough choice between snuggle blankets, greenery & tea but my heart is with Mastermind! Hygge to me is most definitely helped by creating the atmosphere, but there’s no good having a Hygge atmosphere if there’s no *hygge-ing*…! To me hygge-ing comes from crafting/drawing/creating together, listening to the radio and chatting, cooking and eating together, playing cards or other board games and generally just being hygge together. Mastermind brings back so many fond memories & now my daughter and I love to play it too ? It’s difficult to choose. I like the wooden master mind game. I used to play that game endlessly when I was a child , but mine was in plastic. It sure brings back memories seeing this one. But I really love the quilt! The colors are great and i recently started stichting a bit myself and I realise what an amount of work it must have been to make this one! #9 the snuggle is real! I am a big fan of a blanket and most nights have one on my lap and over my toes. I may have even been known to wear one, pashmina style, when the weather is particularly chilly. That vintage kantha is just the bomb, honestly, how many pretty colours and patterns can you get in one place?! Love Hygge, and it’s not so distant cousin (at least in my mind) Fika. Nothing like a bit of Fike to increase your Hygge! ?????? Trying to decide on my favourite piece is doing my head in! I can picture eating minestrone soup out of those chunky ramekins, while snuggling my toes in the Moroccan rug with that devine Kantha blankie on my lap all the while dreaming the day away staring at the Breathless poster, followed by coffee from the stoneware servery whilst reading the hobby book. 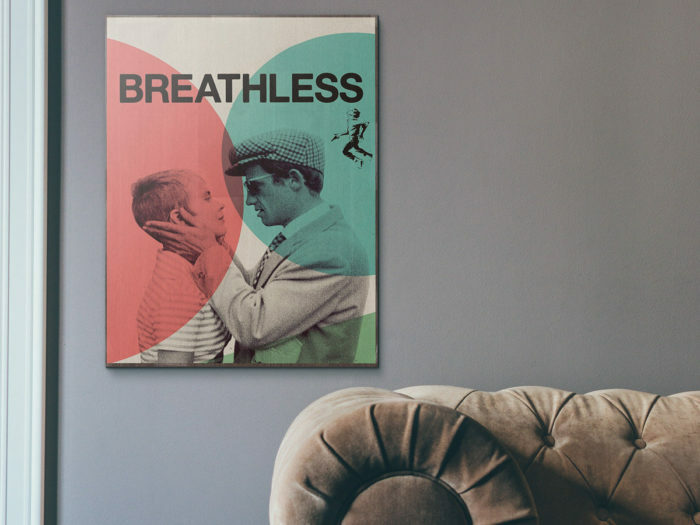 But wait, I have two kids and two kittens and most of these beautiful things will get trashed in two minutes… So with my reasoning based on what will survive in my house longest, my choice would have to be the Breathless poster! Phew that was hard! Definitely Vintage Mastermind. We have quite a thing for board games in my house and my little one is just about old enough now to be introduced to the wonders of this game! Even in summer I love something coy to curl up with…and a good book! I love the Vintage planter stand by Simply Chi. I sometimes admit that I think my ‘green’ addiction has gone too far, but then I see something gorgeous like this and know my life won’t be complete without it!! The rug is for sure my favorite. Etsy is the best. Love that site. #6. Plants & more plants! The plant stand is perfect. Etsy is my go to site for “shopping the world” and finding the most unusual treasures. 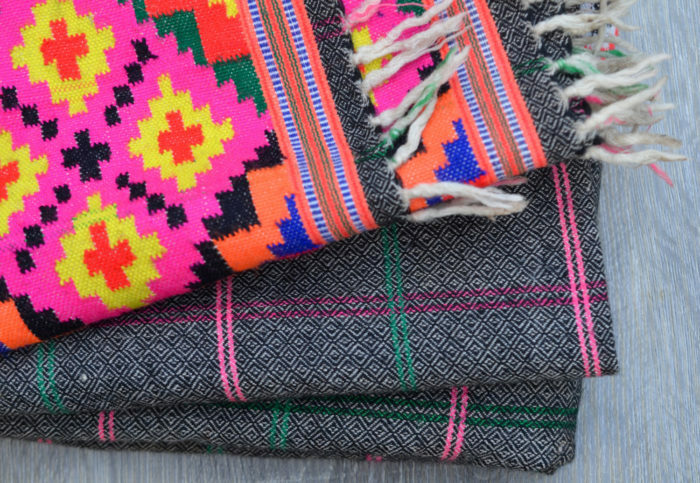 Tha Kantha blanket is my fave – absolutely gorgeous. Such talented artisans out there. Thanks for this inspiring list! #1 Cosy toes — It has to be that lovely rug, doesn’t it? My loungeroom floor is just screaming for something like it, at the moment, it has a stained, worn, smelly old carpet that I loathe, and I long to cover it up with friendly colourful and cosy replacement! Hi! My favourite item is The Australian girls’ book of crafts, pets, sports and hobbies. I have friends and family in Australia and I love their laidback style and their cosy homes. I’d love to read this book and get to know more about these Aussie things before our next visit! Thank you! That rug has me coming over all heart eyes!! I subscribe to the more us more theme when it comes to colour so this rug has Reannon written all over it!! Oooo the vintage mastermind. We’re having a very different kind of hygge this year. We’ve traded suburbia for living in a caravan with our two little people in the forest, while we build our first home. The caravan nights and rainy days are filled with no television, some movies, crochet, drawing and boardgames. Mastermind would be a dandy edition. I am all about the vintage kantha quilt joining me and a bowl of soup with bread and butter in my chair which will very soon be repositioned for winter sun. Defo the gorgeous quilt – perfect for Netflix times with some puppies ? 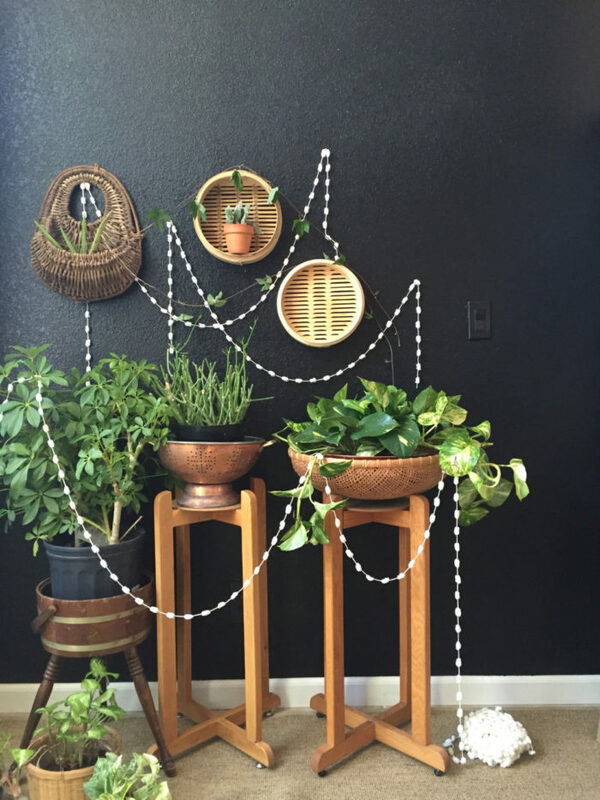 I am so in love with the vintage plant stand by Simply Chi. I have been looking for a plant for an empty corner for a while and I think a beautiful, trailing plant like Ivy or a Maidenhair Fern would be just fabulous on top of this. Oh my how I want one! The Vintage Moroccan Boucherite Rug is my fave because I’ve always lived in houses with slate, wooden and tile floors and my tootsies are always cold! Toastie toes make you feel warm, loved and oh so cosy. I adore the kantha style vintage quilt! Autumn is my favorite time (and birthday-time) too, Pip- and I just.can’t.wait. to snuggle up with my cat on my pregnant belly under a beautiful quilt on the couch with a cup-no a pot- of tea. Yes. I’m moving house soon too so GOSH this voucher would help make my new place all hygged up! Oh I dig mastermind! I hope your pals play it with you! I absolutely love the vintage plant stand by Simply Chi! I would fill it with a variety of succulents and put it in the reading corner in my office for some living inspiration to admire while I work. My favourite is ‘the Australian girls’ book of crafts, pets, sports and hobbies’ (I love the perfectly parsed title too). As a child of ’70s Australia, I grew up with books just like this one, and I know that some of the seeds for my craftiness and love of my home were planted by these beautiful tomes. There is deep and true comfort in having familiar objects from our past with us in the present. That is what hygge is to me. And this quilt would definitely suit! Vintage planter stand is my favourite! 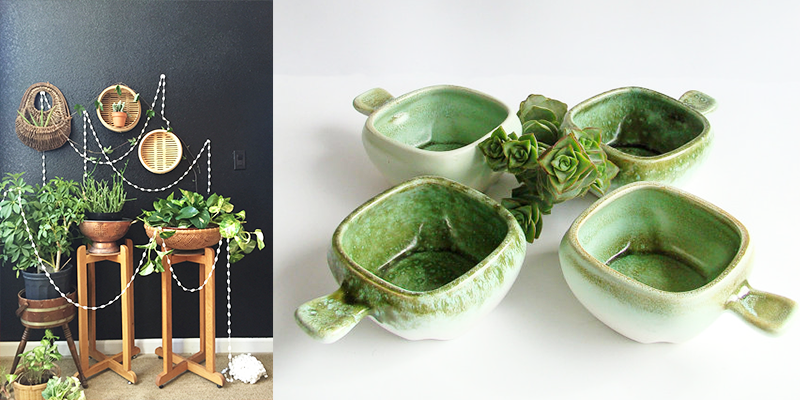 I’m moving to a new home in 2 weeks time and I am looking for pretty indoor planter stands, so I can have an indoor garden right next to the big windows looking over the backyard. Cos if your toes are cosy Jone you fbthose orher options are going to work quite so well!! That Vintage Kantha Quilt is absolutely delish and would add some extra “warmth” to our living area. Plus the colours conveniently work with our lounge room! Love Etsy and supporting small business.